Pest description and damage Rose leafhoppers are small, active, whitish-green insects which run forward, backward or sideways when disturbed. The nymphs (immature) are white with red eyes. 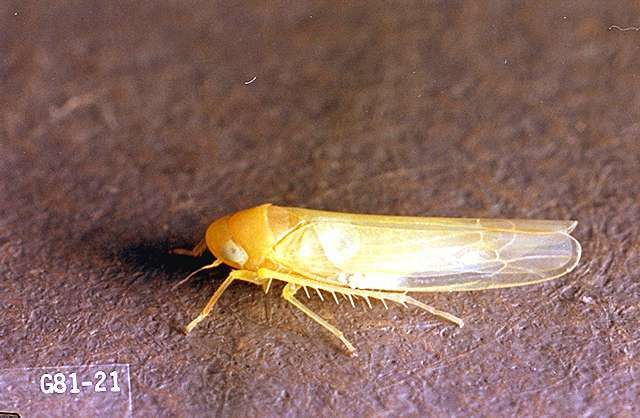 Rose leafhoppers feed on the leaves, causing tiny, white or pale stippling or blotches that resemble, but are larger than, spider mite stippling. Injured leaves may drop prematurely. The egg-laying in the fall also wounds the canes, providing entry points for fungal pathogens. Cast skins can be found on the undersides of leaves. Leafhopper damage is mainly aesthetic. Biology and life history The insect overwinters as eggs within the cane bark of wild or cultivated rose or on caneberries. Eggs hatch in the spring, and the emerging nymphs feed on the leaves. When mature, the nymphs may leave roses for summer hosts which include species of Cornus, Quercus, Prunus, Crataegus, Malus, Populus, and Acer. There are several generations each year (three in eastern Washington). 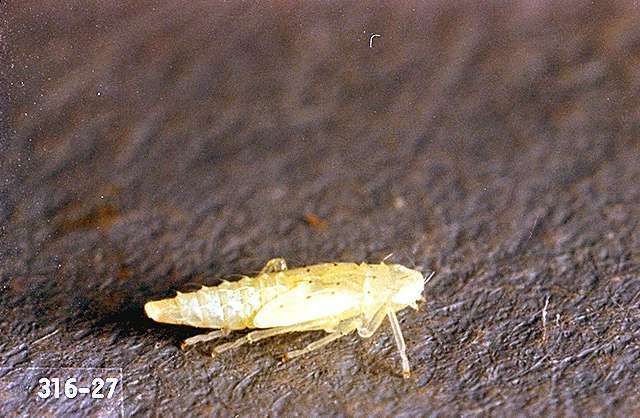 Pest monitoring Check for leafhoppers and shed skins early in the season to determine if any treatment is needed. Leafhopper damage is mainly aesthetic. Tolerate it, if possible unless there is evidence the infestation will be more severe than usual. Several natural predators feed on leafhoppers, including damsel bugs and assassin bugs. Avoid use of broad-spectrum insecticides which may kill these predators.